2. How do critical incidents reveal character? 3. What themes are universal to the refugee experience? 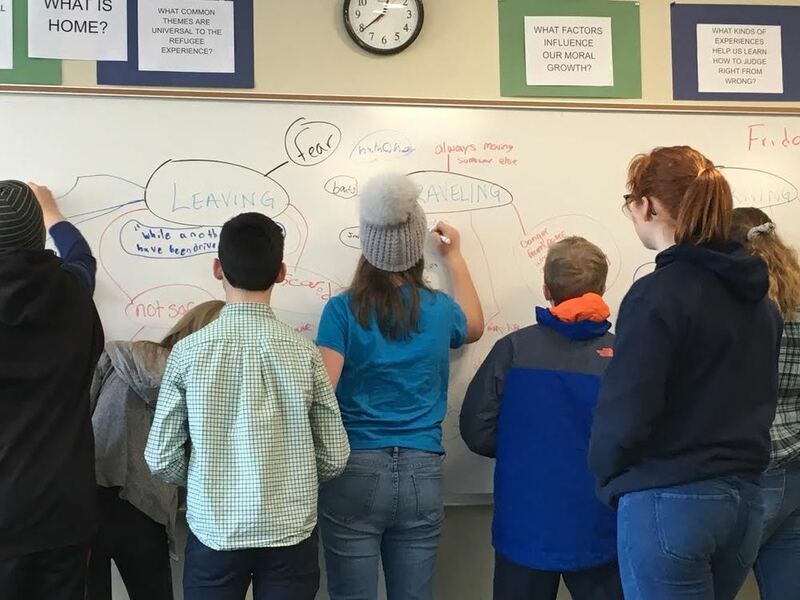 This inquiry included reading informational texts, analyzing a famous photograph, reading comic strip interpretations of Syrian refugee stories and breaking into small groups to read and discuss a fictional account of a refugee experience. These small book groups read one book of fiction, with the storylines ranging from a Sudanese refugee, a Cuban refugee, an Afghan refugee and a Jewish refugee fleeing the Nazis in World War II. As a class, we read aloud the book Inside Out and Back Again by Thannha Lai which is a story of a young girl fleeing the Vietnam War. 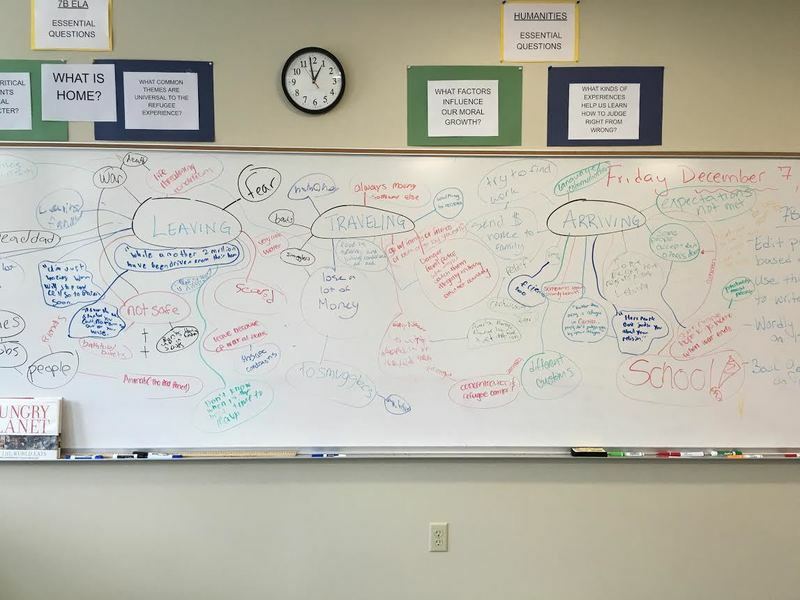 From the study, analysis, and discussion of these various sources, students were asked to identify three themes common to the refugee experience as well as evidence from multiple texts to back up their thinking. Students then turned these themes into a 5 paragraph essay, which they edited and revised multiple times with feedback in order to produce their finished piece. Next up we will be closing out our Refugee Unit by crafting poems centered around the concept of Duty vs. Desire. We will then launch into a unit focused on the reading and analysis of Short Stories. Lots to look forward to!